At BSM Media, we have been studying most teens since they were born. As the expert in Moms, our immersion in the Mom Market gave our team a front row seat to the evolution of the Gen Z generation. Utilizing our resources in our extensive Mom network, we have the ability to tap into the world of the Gen Z social media influencers for product launches and brand campaigns. Recently, we activated teens and tweens in a video campaign on behalf of Pillow Pets. 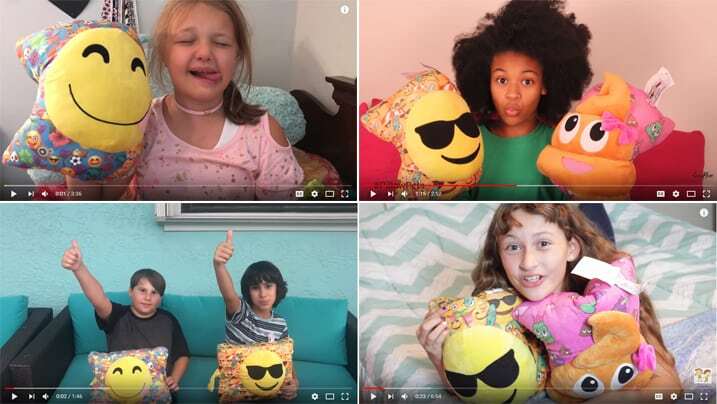 Select teens and tweens created video reviews for a new product from Pillow Pets’ line of plush emojis. Videos were featured on the child or mom influencer’s YouTube channel and also uploaded to Amazon.com’s video shorts portal, which links video reviews to Amazon product pages. This activation helped increase awareness for the Smiley Faces line and created some fun and playful content for the Pillow Pets brand.